This report provides a comprehensive account of quality systems for private sector development: what works on the ground and what doesn’t, and why. It explains why quality and standards matter for export growth, productivity, industrial upgrading, and diffusion of innovation, all central ingredients in improving economic growth and generating real gains in poverty reduction. 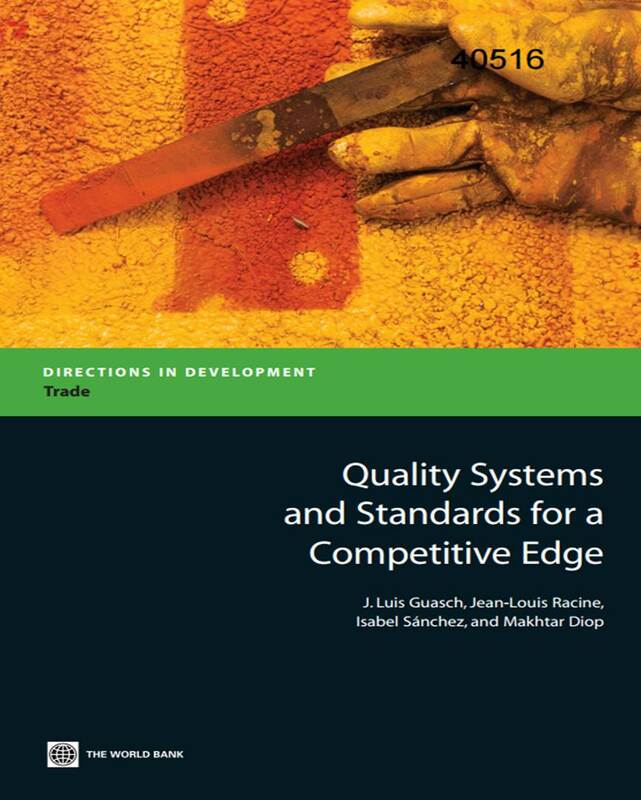 The report examines the diversity of institutions, linkages, and arrangements involved in quality systems, identifying success factors and obstacles in the quality strategies of particular countries. A portion of the volume is devoted to experiences in Latin America and the Caribbean, a region with a great deal at stake in the drive to improve quality. Policy makers in Latin America and throughout the developing world will find Quality Systems and Standards for a Competitive Edge to be a valuable tool for meeting the challenges of building trade competitiveness in the new global economy. A full copy of the report is available on the World Bank website.